Take me there is easily one of the sexiest deep house tracks out there. I'm sucked in every time I hear/play it. This EP needs a quality Repress!!! 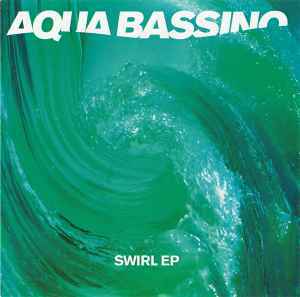 With the Swirl EP, the Scottish Jason Robertson starts his impressive array of deep house releases with his unmistakable Aqua Bassino flavour. The driving "Take me There" provides excellent melodic head-nodding house, while "That Time" adds some subtle keyboard lines over it's mellow beat and synths. "Wanna Dance" is more of the same (listen to the graceful ending), but the absolute standout track is "Ibiza". This amazingly blissful ambient trip through the exotic blue waves really makes you feel like being in heaven - only for eleven magical minutes. Strong ep - no fillers here. From the 11min+ mellow homage to the balearic isle to the more dancefloor friendly driving deep house numbers of the other three; this is a worthy addition to any soulful person's collections. The tracks on <i>Swirl</i> might now sound a bit dated, but when they first came out, they were wonderful pieces of deep house. Over the next 3 Aqua Bassino EPs, Jason Robertson refines his sound, but the genesis is all here. The ambient track, "Ibiza," is actually kind of boring, but "Take Me There" and "Wanna Dance" are solid. Three tracks here are ambient tracks with beats as usual, nice, but not very recommendable. But there is "Ibiza", one of the best Ambient tracks I've ever heard. Let your mind flow, let the waves rush...excellent and almost too short..